Know what is going on in your home, even when you’re not there. Alarm systems have always been about blaring sirens, monitoring stations, and physical home protection. What about the little things? The things that don’t need a phone call from the monitoring station, or a visit from the police. Burns & McBride has a way for you to stay on top of things that are going on in your home, even when you’re not home with our Non-Emergency events notifications. How can I use these notifications? Lets say that you have a liquor cabinet in your house that you don’t want your children getting into. You can put a sensor on that cabinet (perhaps a recessed sensor) and whenever that cabinet is opened you will get a text message saying what has happened. Then you can call and ask Johnny what exactly he is doing with that bottle. Or how about if the garage door was left open? With a tilt sensor, you could receive a message. Or maybe you have an elderly parent that is not quite ready to give up their independent lifestyle, and you want to check up on them without being obtrusive. We can install a motion sensor in the living room, and set a notification to be sent to your phone if nothing moves in front of that motion sensor by say, 9 am. Maybe Mom is just sleeping late, or maybe she has fallen. If nothing passes in front of the sensor you will get a text message telling you that you should give Mom a call and see if she is okay. What a great way to protect yourself and those whom you love. Would you like to add Non-Emergency Events? If you would like to set up Non-Emergency events, contact us at 302-656-5110 and we can aid you in adding this functionality to your Burns & McBride Smart, Safe Home Go!Control system. With the warmer weather on us, people are switching their thermostats from “heat” to “cool.” We all know that the air conditioner is a killer when it comes to your monthly energy bills. You could probably get away with leaving a light on, maybe a fan but when your family leaves the home with the air conditioner running the entire time, you’re going to come home from your family vacation to a HUGE monthly bill and that’s no fun! As if family vacations weren’t expensive enough, the last thing you want to worry about is if you can afford to return home. Burns & McBride is a leader in simple, affordable Home Automation. Our Smart, Safe Home System lets you remotely control your home from your cell phone, tablet or laptop. Imagine if you will leaving your home for work in the morning while forgetting to turn off your coffee pot, hallway light or even the TV. No problem; pull out your phone, fire up the Safe, Smart Home app and turn them all off with only your thumb while stepping into your office 20 miles away. Yes, it’s that easy! Remotely control your lights, thermostat, small appliances, large appliances and more with the click of a button through your iPhone or Adroid, iPad or tablet, laptop and even your work computer. Plus every time you arm your system, you can automatically raise or lower the thermostat with our exclusive energy management rules. Most customers report an minimum average savings of $25 a month on their energy bill. Hot weather calls for air conditioning and with our Smart, Safe Home package you get a new thermostat that works seamlessly when controlled from your smart phone, tablet or even your laptop computer. Yes, you can control your thermostat from your cell phone while away from home. It’s a hot one outside and you’ve been running errands ALL day long, now you’re looking forward to getting home and sitting in the air conditioning. You pull out your phone, access your thermostat from the app and get the cool air flowing and ready for you while you drive home. You had to work late, and the kids are at home by themselves. They’re supposed to be doing homework instead they are on the XBOX 360 with their friends. You pull out your phone, access the TV / XBOX 360 from your Safe, Smart Home app and shut it all off. Next, give them a call at home and warn them that it’s now time to start their homework. 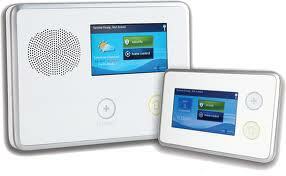 As if you needed another reason save money, the Safe, Smart Home package includes 24 hour Home Security. So not only are you controlling your lights, small appliances and the temperature of your home but you will also be able to control the cameras, the door locks and monitor it all from your phone, tablet or even your laptop. The New Castle County Police Department requires homeowners to register their alarm systems with them. Similar programs exist in the City of Wilmington and the City of Newark. Through the implementation of this ordinance the reduction of false alarms has allowed the police officers more time to handle calls for service and become proactive in the communities of New Castle County. At the program’s inception there were an average of 13,000 false alarms per year and a response time of approximately 25 minutes, the New Castle County Police were losing over 300,000 minutes (or 5000 hours) of officer time every year to false alarms. This is the equivalent of 2.5 officers spending and entire year working on false alarms. It had been shown that with implementation of a false alarm ordinance, false alarms could be cut by up to 40%. That means that the New Castle County Police would get back about 130,000 minutes (or 2166 hours) of actual police time. Yes. No alarm user shall operate or cause to be operated, an alarm system without a valid alarm registration. Failure to do so may result in a penalty. No alarm user shall cause, allow, or permit the alarm system to give three (3) or more false alarms in a twelve (12) month period. For the third false alarm within a twelve (12) month period, by a civil penalty of one hundred dollars ($100.00). 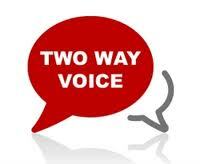 For the fourth false alarm within a twelve (12) month period, by a civil penalty of two hundred dollars ($200.00). For the fifth and any subsequent false alarms within a twelve (12) month period, by a civil penalty of two hundred fifty dollars ($250.00). In addition, any person operating a non-registered alarm system will be subject to a civil penalty of fifty dollars ($50.00) for each false alarm in addition to any other civil penalties. The alarm administrator may waive this additional civil penalty for a non-registered system if the alarm user submits an application for alarm registration within ten (10) days after notification of such violation. If cancellation occurs prior to law enforcement authority arriving at the scene, this is not a false alarm for the purpose of civil penalties, and no civil penalties will be assessed. View the full text of the ordinance at the County Municode site. Residents and business owners can register their alarm systems through Cry Wolf, the vendor selected by the New Castle County Police to administer the program. Registration is free and is available through a secure website at http://www.crywolf.us/newcastlede. In addition to online alarm registration and administration, the website offers information about the false alarm law, answers to frequently asked questions, false alarm reduction tips, payment of fines and more. As a courtesy, Burns & McBride registers those customers whose systems they have installed. Once registered the homeowner will receive a registration confirmation showing their system number. They will also receive a password to the system via e-mail. They can access the system at any time using their e-mail as a login and their password. 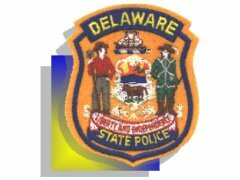 On June 10, 2012, The Delaware State Police will begin administering the State’s False Alarm Reduction Program, which was enacted by legislation to encourage alarm users to maintain operational reliability, promote proper use of alarm systems and reduce the amount of false alarms that law enforcement officers respond to. False alarms are a costly and a major public safety concern as they divert law enforcement resources from crimes in progress, other real emergencies, and time spent on routine patrol. Delaware Law-Title 24 Chapter 12 –False Alarms requires all residents and business owners throughout the State to register their alarms systems. The initial registration period began May 17, 2012 when all security systems and protective service industry professionals were notified by the Delaware State Police Professional Licensing Section to inform all customers and clients of the need to register their alarm systems. 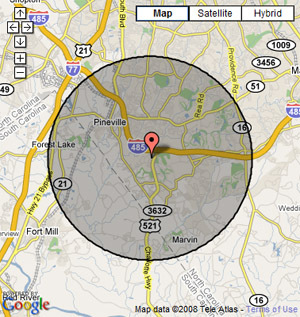 The Delaware State Police initial focus is only on those businesses and residences within the State Police jurisdiction. Wilmington, New Castle County and Newark implemented this program in their jurisdictions more than four years ago. Other municipalities could become part of this false alarm reduction program in the future. The first three instances of a false alarm will not incur a fine. For the fourth false alarm a $50 civil penalty will be assessed, fifth false alarm $75 civil penalty, followed by a $100 penalty for a sixth false alarm. The seventh false alarm or any thereafter within a calendar year will be subject to a $250 civil penalty for each offense. If Troopers respond to an alarm that has not been registered, the alarm user will have thirty (30) days to register the alarm or a $50 fine will be assessed. Residents and business owners can continue to register their alarm systems through Cry Wolf, the vendor selected by the Delaware State Police to administer the program. Registration is free and is available through a secure website at https://www.crywolf.us/delaware. In addition to online alarm registration and administration, the website offers information about the false alarm law, answers to frequently asked questions, false alarm reduction tips, payment of fines and more. Any questions or further information regarding the registration process and applicable fines should be directed to Cry Wolf at 877-665-29279.